Japanese phenom Shohei Ohtani entered the 2018 season with massive expectations and the frequent appellation of “The Japanese Babe Ruth”. He more than lived up to the hype, hitting 22 homers with 61 RBI, a .285 average, and 10 stolen bases in only 326 at-bats and earning American League Rookie of the Year honors. On the mound, Ohtani flashed nasty stuff before an elbow injury forced the former Hokkaido Nippon Ham Fighters ace to focus solely on batting. In 10 starts, Ohtani compiled a 4-2 record with a 3.31 ERA and 63 strikeouts in 51.2 innings. 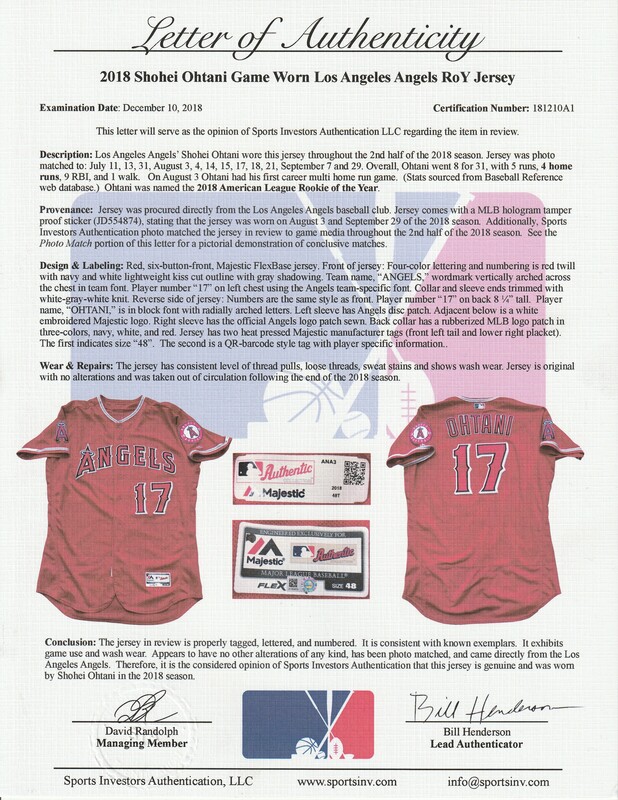 Presented here is a red alternate Los Angeles Angels jersey worn by Ohtani during his Rookie of the Year season that has been photo matched to 12 games and four of his 22 home runs. 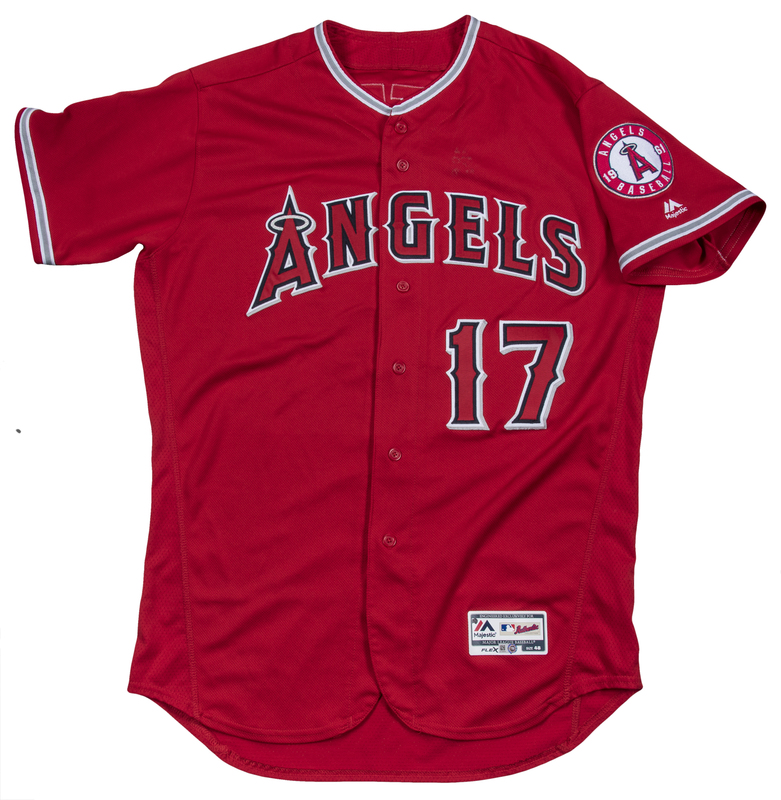 This size 48 button-down jersey has “ANGELS” and “17” in Tuscan font on the front in red, navy, white and gray tackle twill. 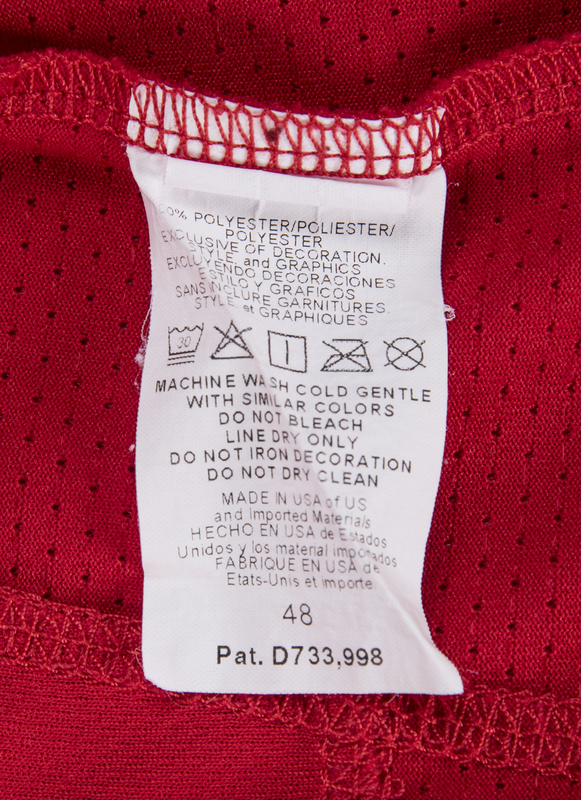 The Majestic tag is sewn on the bottom of the front left tail and a Majestic bar code tag is applied vertically to the center right tail. There are red mesh linings down each side and the collar has a gray and white piping stripe. The back of the jersey has “OHTANI” sewn on in red, navy, white and gray tackle twill and “17” is sewn on in the same tackle twill color pattern. 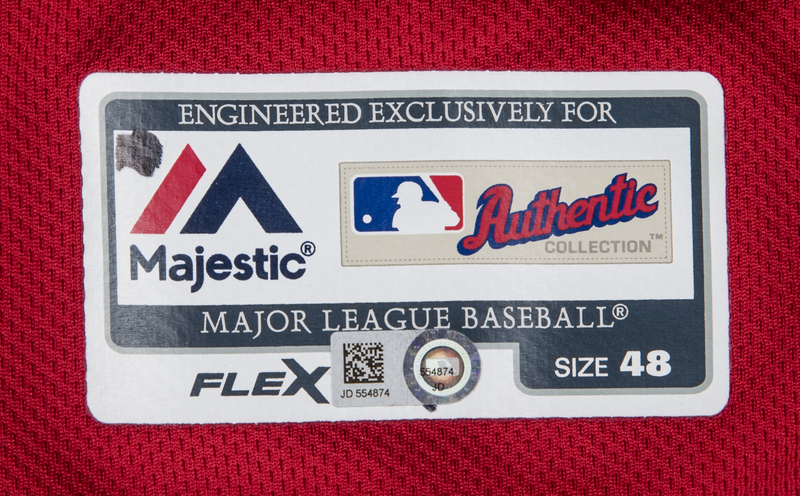 The vinyl MLB logo patch is sewn on in upper back neck. 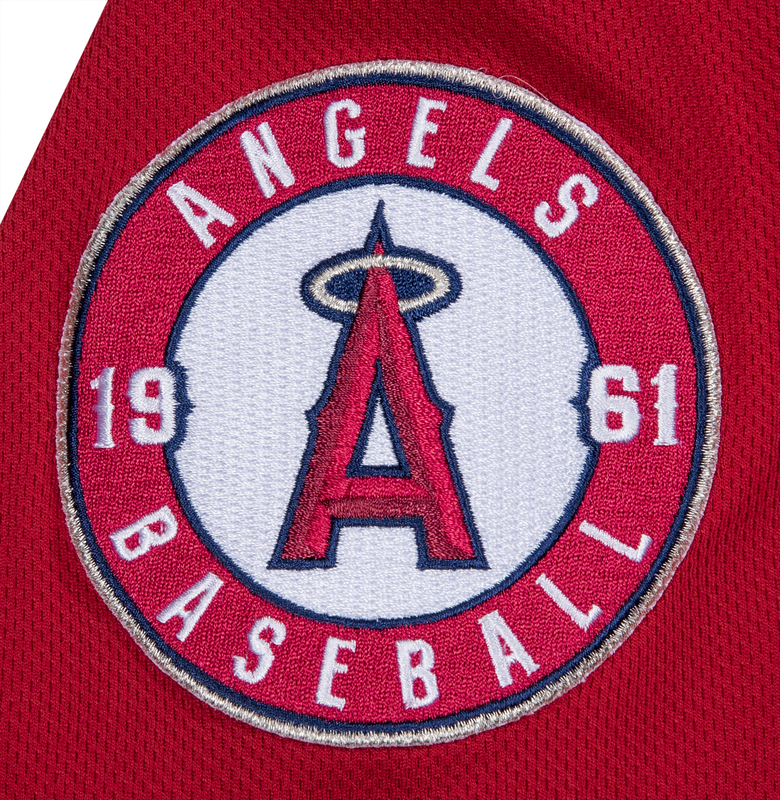 The left sleeve has the Angels “A” logo patch and the white embroidered Majestic logo, while the right sleeve has the Angels’ “A 1961” circle logo patch. 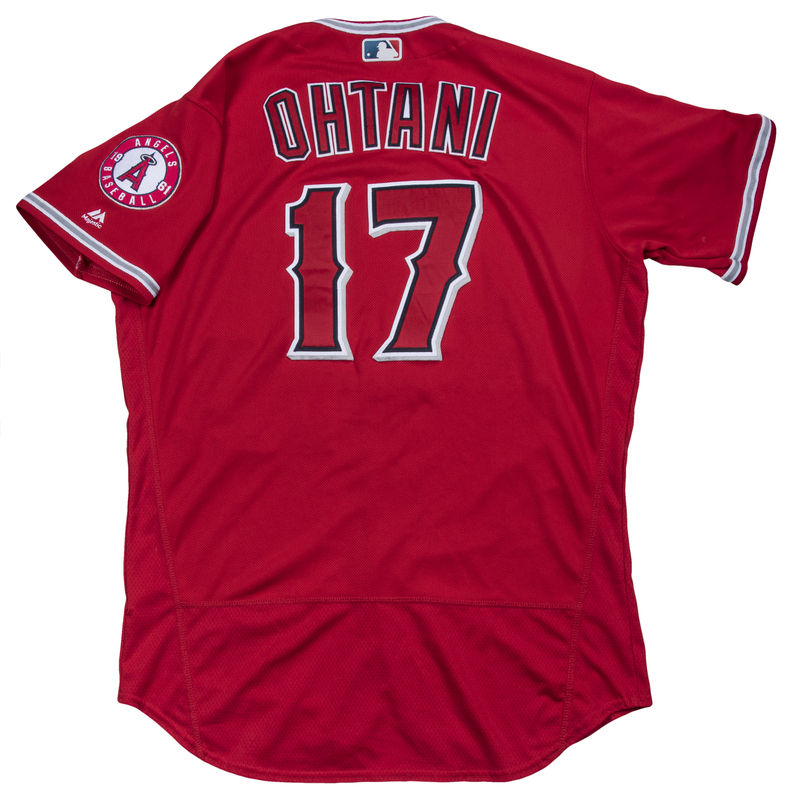 Ohtani wore this jersey during the July 11th, July 13th, July 31st, August 3rd, August 4th, August 14th, August 15th, August 17th, August 18th, August 21st, September 7th and September 29th games. Ohtani connected for his first-ever multi-home run game on August 3rd when he went 4-5 with 2 home runs and 3 RBI. 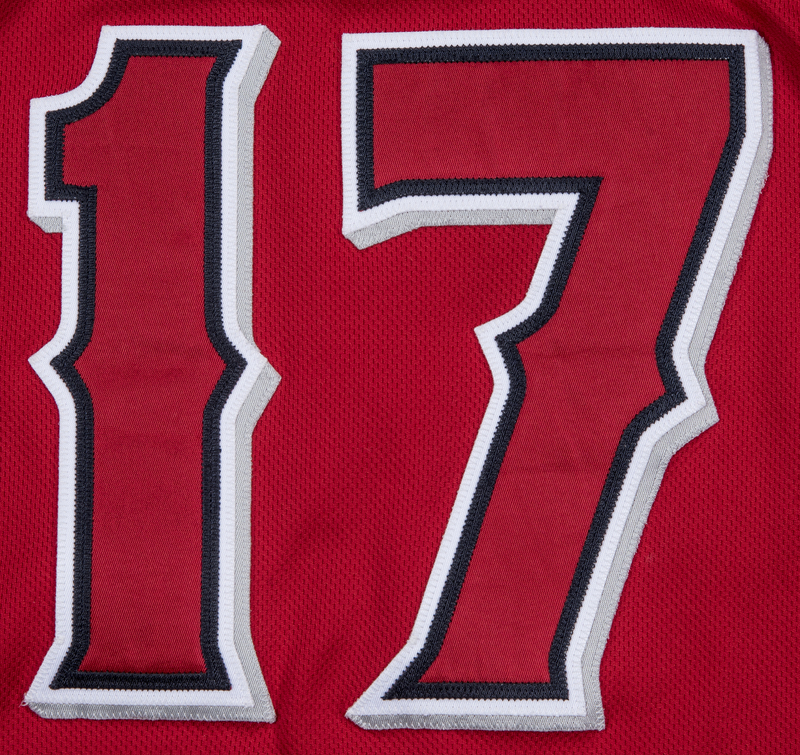 He hit two additional home runs in this jersey on August 18th – a 3-run home run and a homer on September 7th. 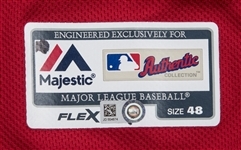 This historic jersey comes with a MLB Authenticated hologram (JD554874) which has authenticated this jersey to the August 3rd game in which he had his first multi-home run game. 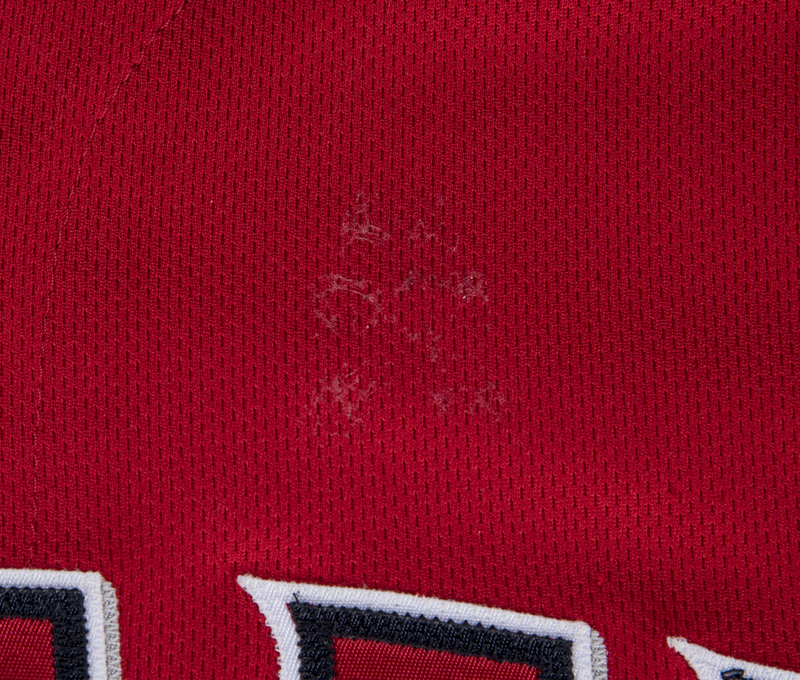 Additionally, this jersey has been photo matched and authenticated by Sports Investors Authentication to the aforementioned 12 games.